RAD302 [syllabus] focuses less on UI than its precursors and instead examines deeper database access issues, n-tier development, object-relational models as well as experimenting with model-view controller architecture patterns. This module is taught currently to BSc. (Ord.) Computing (Software Development) and B.Sc. (Ord.) Computing (Games Development), both in year 3, Level 7. 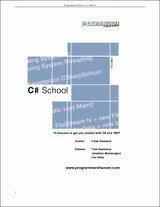 The programming language is C# in the .NET environment with some detours into JS, jQuery libraries and JS frameworks. It follows on work completed in Rich Application Development RAD301. The focus is on building n-tier applications using modern development frameworks and ORM (object-relational mapping) tools. While the abiding allegiance is towards C# and .NET, the offering is now increasingly agnostic and embraces a number of (now related) open-source technologies and practices. 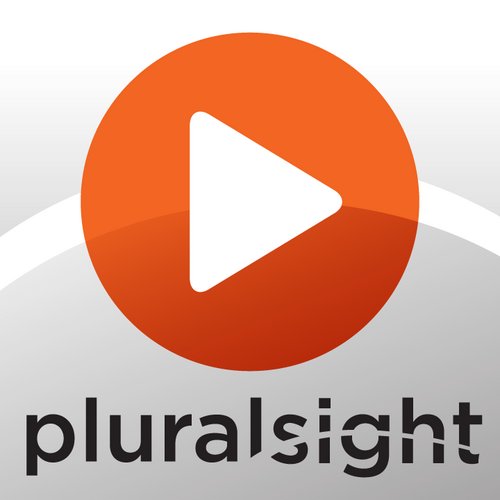 We'll touch on CSS frameworks (as earlier) and jQuery & related plugins. We'll also have some exposure to JS client-side frameworks (e.g. Ember, AngularJS) and Web API, and reflect on how the role of server and client is changing. Implicit in the delivery is the introduction of the role of design patterns and their significance and implementation. I will retain Entity Framework (currently version 5) building on exposure to LINQ in RAD301. I will also use localDb and SQL Server but may use the Azure cloud offering instead of local servers. Remember this is a short semester ahead of work placement so it is important that you consolidate your knowledge from RAD301 ahead of tackling the concepts within this module. 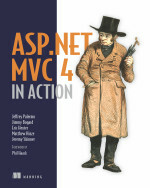 ASP.NET MVC 4 in Action (Manning, 2012) - a thorough but reasonably demanding treatise of the subject. 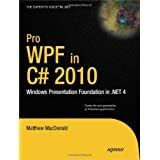 Two specific online resources worth mentioning are W3Schools.com and MS's ASP.NET MVC Getting Started pages. 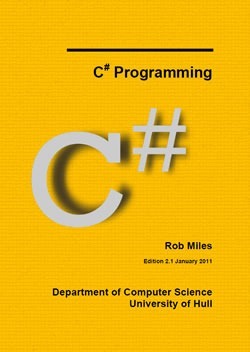 Rob Miles' CSharp Yellow Book is now a classic and updated to XAML for 2012. There is much to interest you at Rob's site, especially those working in Games or Arduino/Gadgeteer - highly commended. offers (paid-for) subscriptions covering a tremendous array of languages including all the material covered in this module. Subscriptions can be bought by the month and so affordable. Currently your Dreamspark membership offers you a number of months free.